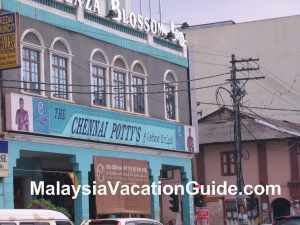 If you are looking for bargain and products that are used in particular by the Indian community, head for Little India in Klang, the royal town of Selangor. 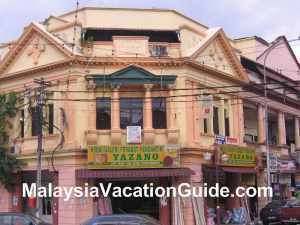 The shops along the street known as Jalan Tengku Kelana has been identify as one of the tourist spots of Klang a few years ago. Some of the old shops that are still being used today. 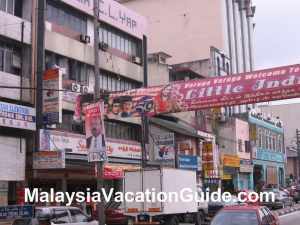 If you are in Kuala Lumpur, there is another location in Brickfields with similar settings. This is also a famous place where all types of products from India such as spices, textiles and other household products are sold here as well. 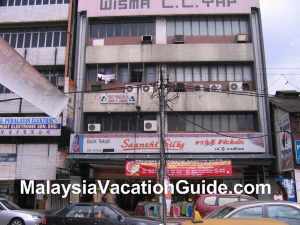 This place is located about 10-15 minutes walk from Klang Komuter Station. You can find all type of household products, decorative products, Indian food, spices, clothing and textiles. As you walk along the shops, you can see all kinds of products being displayed. They include gold and jewelleries, cooking pots, bangles, silverwares, saris, flowers, clocks, watches and electrical goods to name a few. The colourful Ajuntha Textiles Shop. Chennai Potty's Shop is also here. The environment here is made more busy by the sound of loud music that are being played in some of the shops. 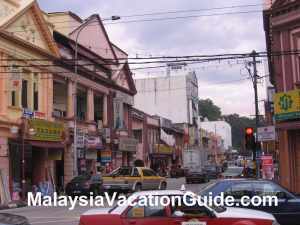 A few days before major festivals such as Deepavali, this street will be crowded with people coming here to do their last-minute shopping. During this time, it will be difficult to find parking hence you must be willing to park a bit further away and walk here to shop. The busy street of Jalan Tengku Kelana. If you are coming from Petaling Jaya using the Federal Highway, drive towards Klang and use the old bridge. You will see this place straight ahead after crossing the Klang River. The other alternative is to use the Komuter Train and alight at Klang Station. Walk 10-15 minutes towards the direction of a huge Mosque and you will arrive here in no time.